The United States Mint is proud to introduce its second commemorative coin for 2007. These silver dollars recognize and pay tribute to the strength, the determination and the courage displayed by African-American high school students in the fall of 1957. In the landmark 1954 decision of Brown v. Board of Education of Topeka, Kansas, the United States Supreme Court declared racial segregation in the public schools of the United States of America was, indeed, unconstitutional. The events in Little Rock, Arkansas in 1957, was an important step in the country’s quest for racial equality in public education. 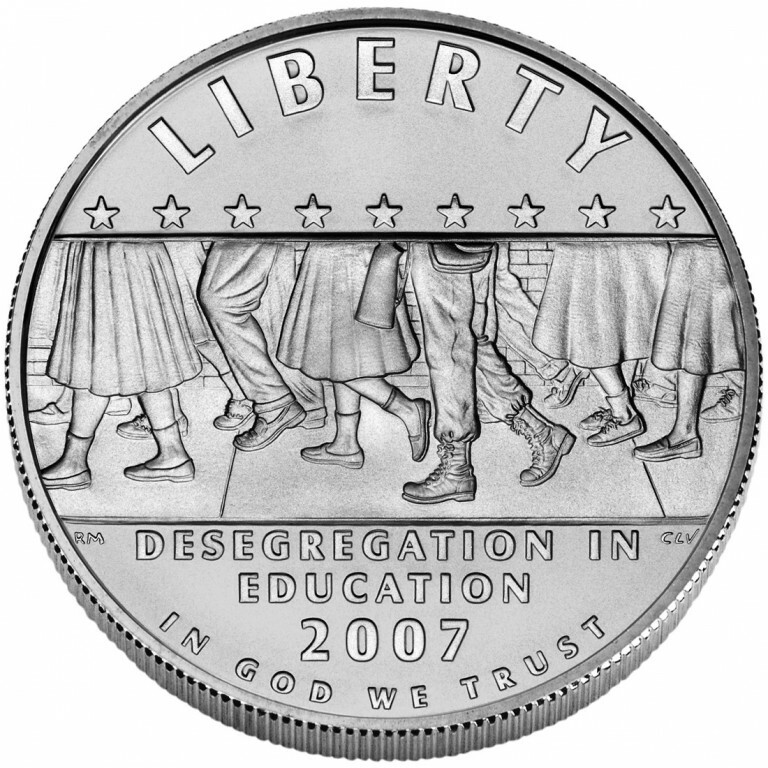 The Secretary of the Treasury is authorized to mint up to 500,000 silver dollars in commemoration of the 50th anniversary of the desegregation events at Little Rock Central High School, in Little Rock, Arkansas during the 1957-1958 school year. So important was the successful integration of this school to the American Civil Rights movement that Dr. Martin Luther King, Jr. personally attended the 1958 commencement for the school’s first African American graduate. 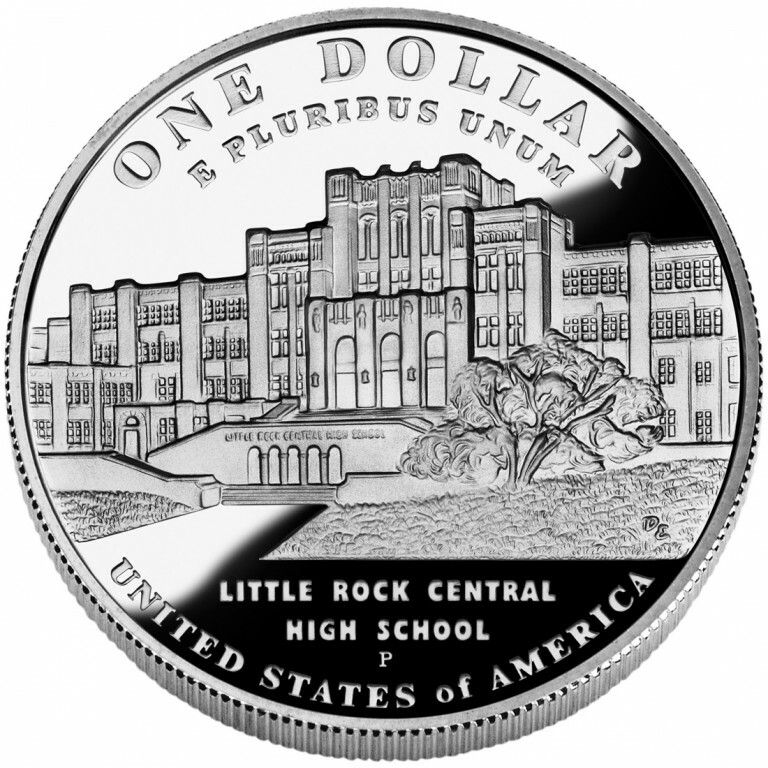 According to the Act, "[s]urcharges collected through the sale of these coins are authorized to be paid to the Secretary of the Interior for the protection, preservation, and interpretation of resources and stories associated with Little Rock Central High School National Historic Site, including site improvements at Little Rock Central High School National Historic Site, development of interpretive and education programs and historic preservation projects, and the establishment of cooperative agreements to preserve or restore the historic character of the Park Street and Daisy L. Gatson Bates Drive corridors adjacent to the site." 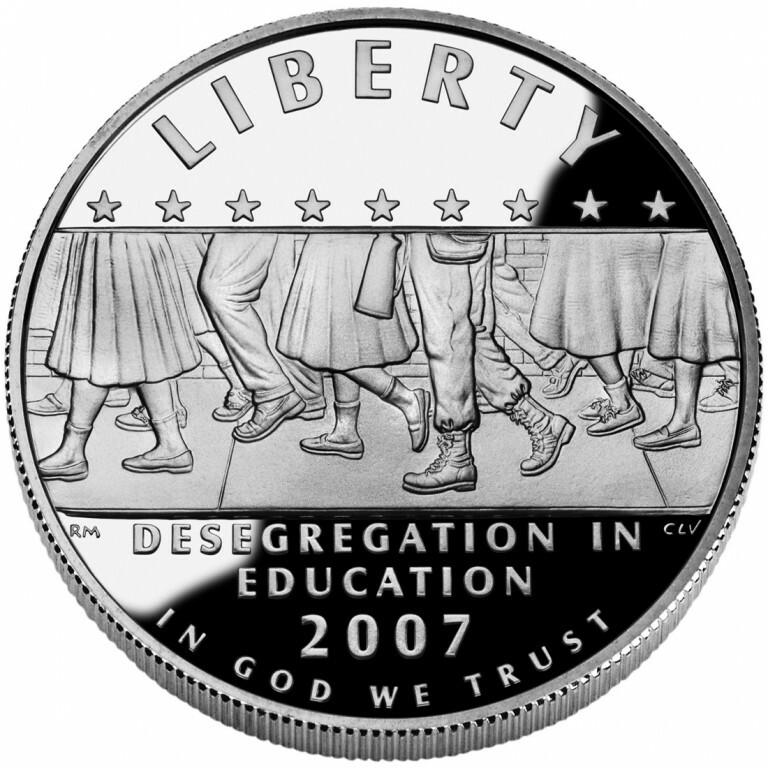 The obverse of this coin features a simple, yet powerful design depicting students, accompanied by an armed United States soldier, walking to school. The design includes nine stars, each symbolic of those who faced the violence and hatred of a segregated society unwilling to live by the words of its most important declaration, that "all men are created equal." 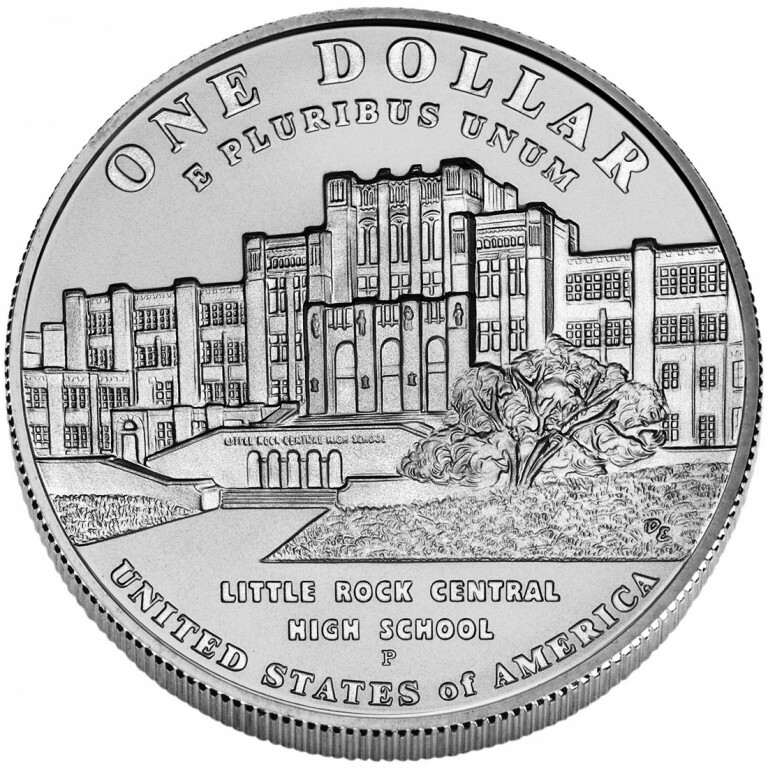 The reverse design for the Little Rock Central High School Desegregation Silver Dollar depicts the image of the school circa 1957. Designated a National Historic Site in 1998, the impressive structure still operates as an educational institution, dedicated to preparing today’s children to be tomorrow’s leaders.